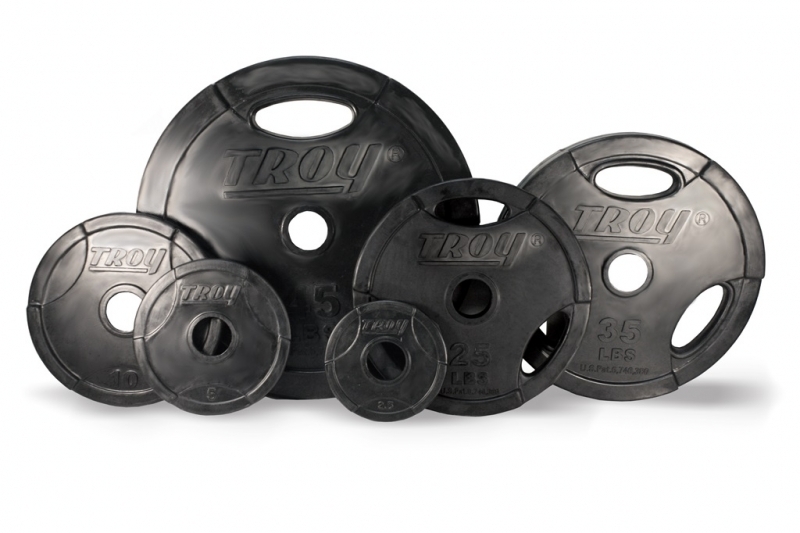 Troy’s Interlocking Rubber Plate Set GO-R-355 premium grade Rubber Encased “Quiet Iron® EZ-lift” Grip Plate is one of the top plates on the market today. Not only does it protect floors and equipment, the interlocking feature allows the user to load more plates onto machines and bars to maximize workouts. These Olympic GO-R plates also maintain a 2% accuracy level, plus or minus. Troy's Interlocking Grip Olympic Plates GO-R-355 use a baked on finish to help resist rust and corrosion. The Troy's Interlocking Grip Olympic Plates GO-R-355 is perfect for high school, college, personal training studios or commercial gym use! 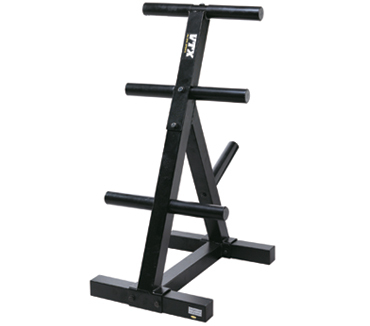 As plates interlock, it is now possible to safely load more plates onto machines and bars to maximize workouts. It's twice-baked finish gives it lasting durability. 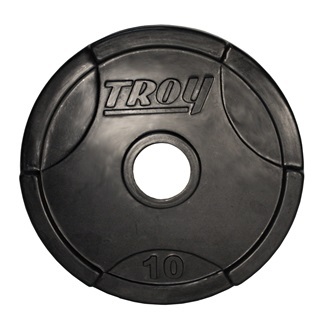 Order your Troy Interlocking Rubber Plate Set GO-R-355 from FitnessZone.com today!